Debbie grew up in the local area and graduated form Kelso High in 1979. She received two associates degrees in Accounting from Lower Columbia College in 1992 and 1993. She also received her Bachelor of Arts Degree in Business Administration in 1995 from Washington State University in Vancouver, Washington. 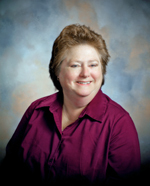 She joined the staff of DeFrancisco, Lampitt & Brado, PS in 1996 as a staff accountant. She has done varies duties at the firm, mostly bookkeeping and tax preparation. She has worked on various clients from fast food restaurants to auto repair shops. Debbie is married with two grown children, three grown step-children and three grandkids. She enjoys quilting and scrap-booking.